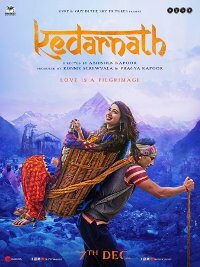 A Hindu-Muslim love story which portrays how a Muslim pithoo saves a Hindu tourist from the Uttrakhand floods at the pilgrimage, and the love that eventually develops between them. The film has attracted some controversy due to the Hindu-Muslim angle, as well as because the stars are playing the opposite religions. In Hindi language with English subtitles.